Connection is the assignment for Photography 101. 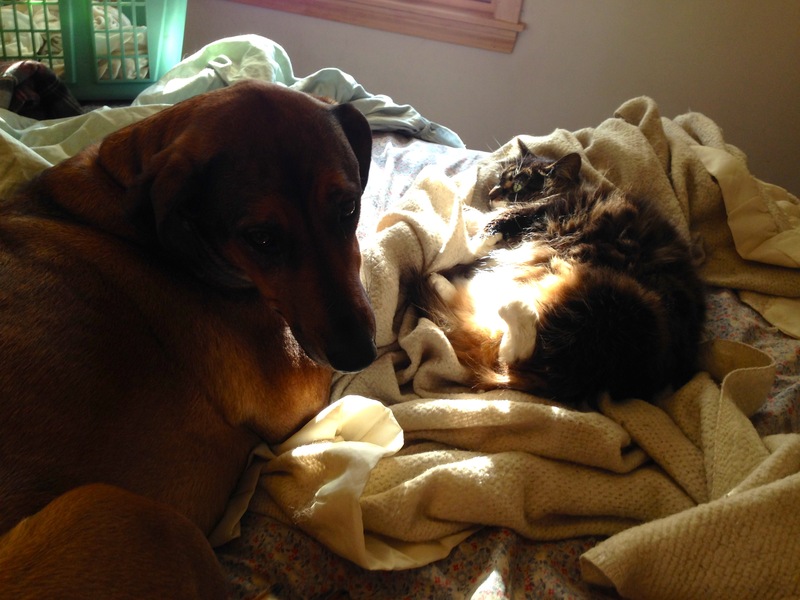 Can not get anymore connected than a cat and dog sharing a sunbeam. This is my Rhodisian Ridgeback mix, GG, and her best bud, Daisy, sharing the first sunbeam to come through window in a long time. Daisy is of a taciturn disposition. She came from the Humam Society and, after three years, has not bonded with the humans or other cats in the house. For some reason she bonded with GG who came to live with us two years ago. They play together and I have seen GG pet Daisy with her paw; it is a love connection. GG stands for Growly Girl because she growled at everything when she was a pup which why no one wanted her. She turned out to be the sweetest and smartest dog out of a litter of nine. My sister has her mother, Katie, and brother, CBGB, and my friend Vi (pictured below) has her brother, Grinder. I call her Goofy Girl now. GG and her brothers Grinder and CBGB are the inspiration for a young adult book series I am working on called The Ridgeback Gang. It all started with this photograph taken at the Dog Bowl in Frankenmuth, Michigan. 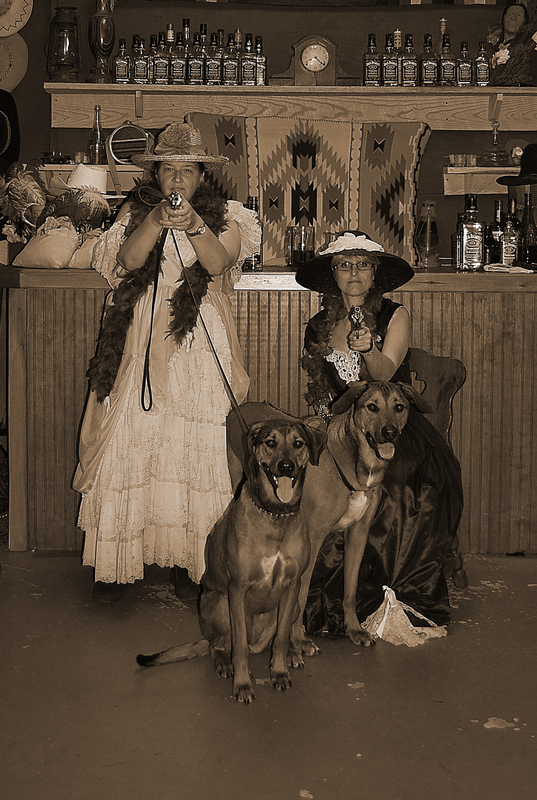 A fun comeuppance book series set in the Old West featuring two female, Robin Hood-type outlaws, English Evie and Southern Sue, and their Rhodesian Ridgeback dogs, Gigi and Grinder. The gals are on the run, righting the wrongs of the oppressed. what a great picture, who better to share the sun with then a bff? So cute that Daisy bonded with the dog.